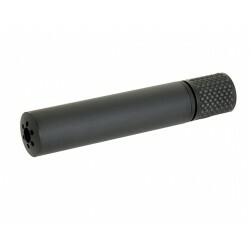 The dummy silencer has a left and a right thread with a diameter of 14mm. Inside there is a special foam. ATTENTION! 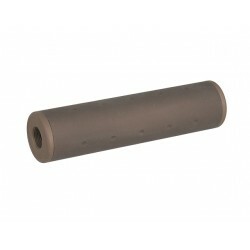 Can be used as an extension of the outer barrel when installing a longer inner barrel (precision). 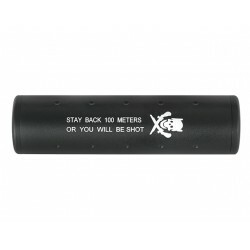 This look-a-like silencer tracer unit uses a compact powerful flash to charge your tracer BB's with light making them self illuminating, and creating a tail of green light following them as they shoot down the range. 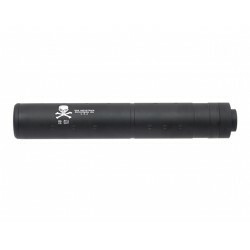 The silencer have 14mm counterclockwise thread. 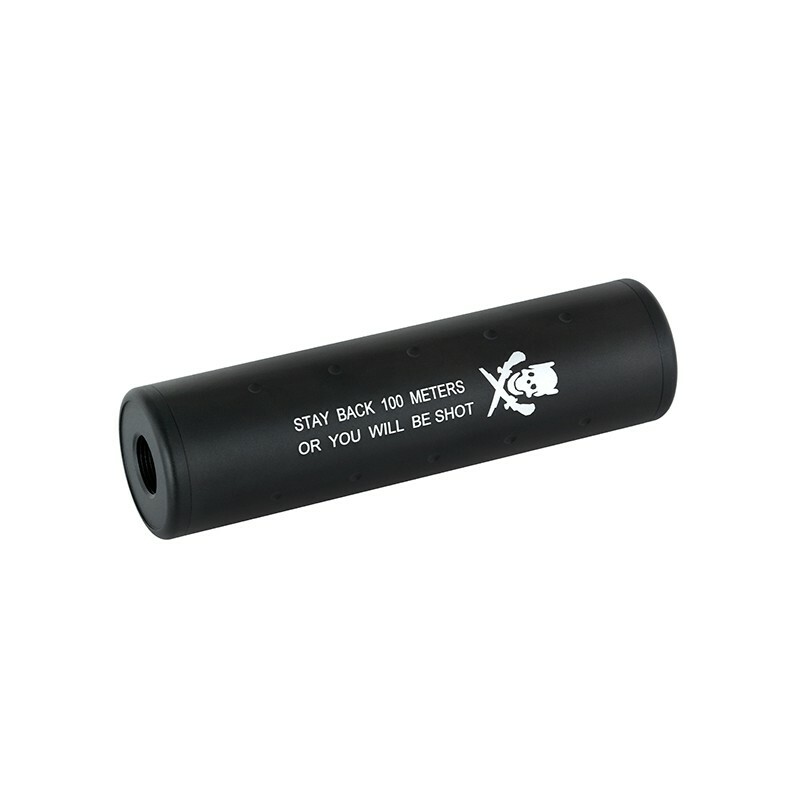 Silencer with quick installation system, mounted on most flash suppressor used in ASG. 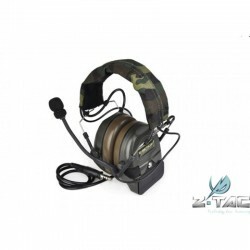 The adapter is made of aluminum with the use of CNC technology allows to attach the counter-clockwise 14mm diameter threads to the replicas equipped with a clockwise 13mm thread. BIG DRAGON - 148mmQD Silencer W/Flash Hider, Black color, meta. 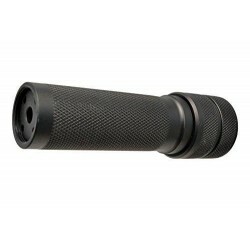 Perfect for airsoft rifle M4/M16/Scar and other with 14mm thread flash hider. 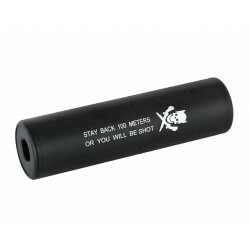 The PBS-04 (Pribor Besshumnoy Stryelbiy = Device for Noiseless Shooting) is a high-grade, high-quality 14mm thread barrel extension built for the AK platform.